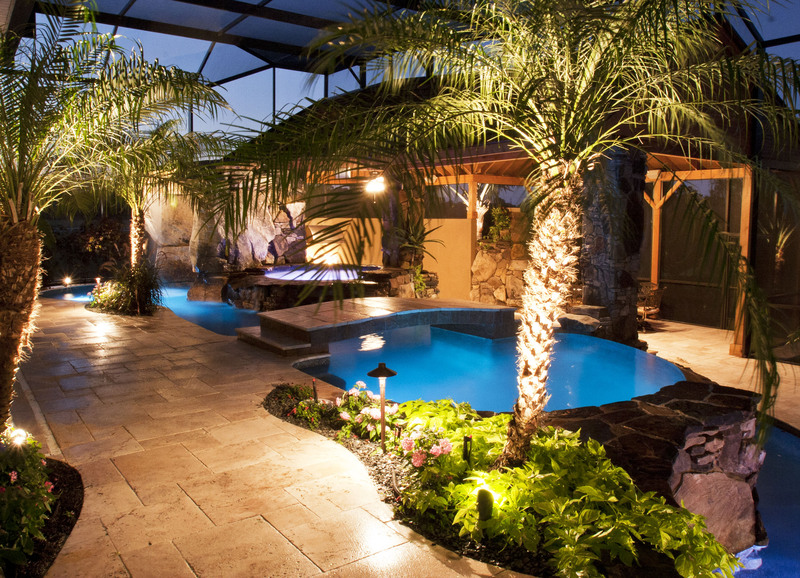 The florida swimming pool design is the ultimate pool design because it is filled with so many amazing features wrapped into a tropical paradise for the backyard. 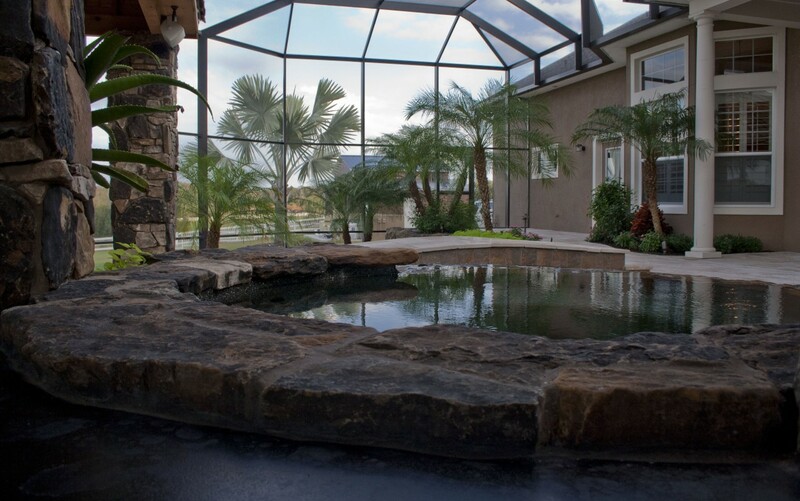 This swimming pool design includes a natural stone grotto waterfall that you can swim under to get to one of the bar areas connected to the outdoor kitchen. 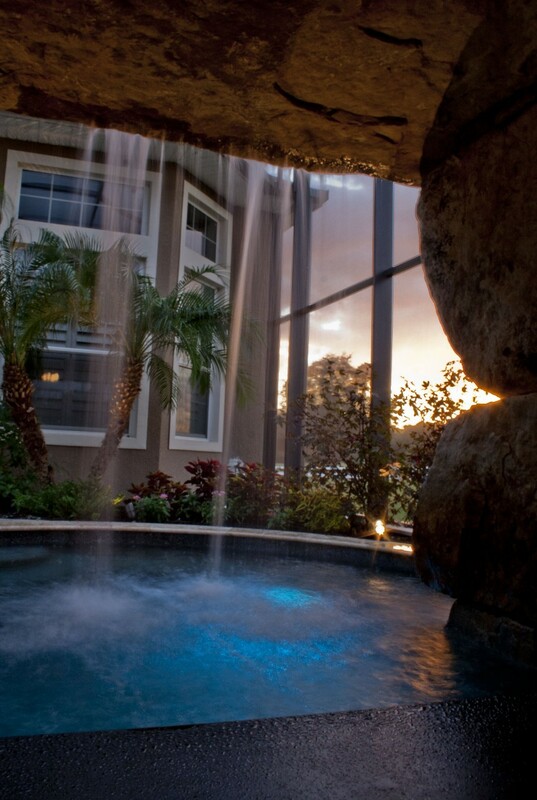 The other bar area from the swimming pool is inside the stone spa, adjacent to the grotto waterfall. 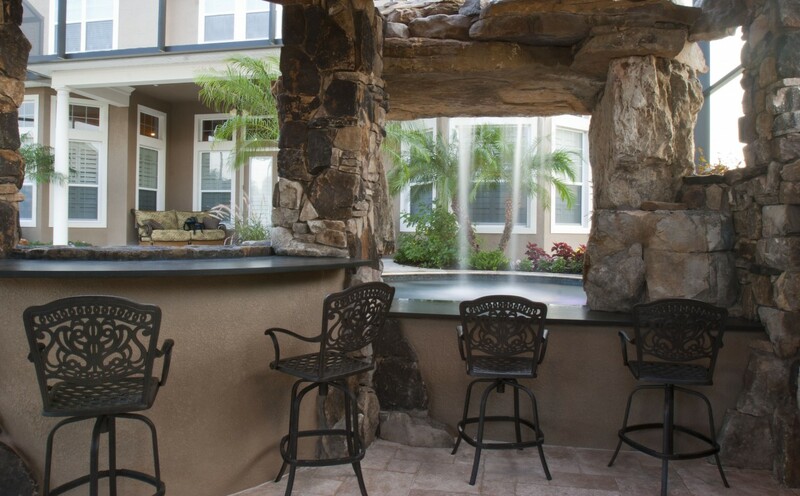 Whether you are sitting inside the natural stone spa, or underneath the large stone boulders that create the natural grotto waterfall, you have your own bar area to enjoy your drink and converse with everyone. 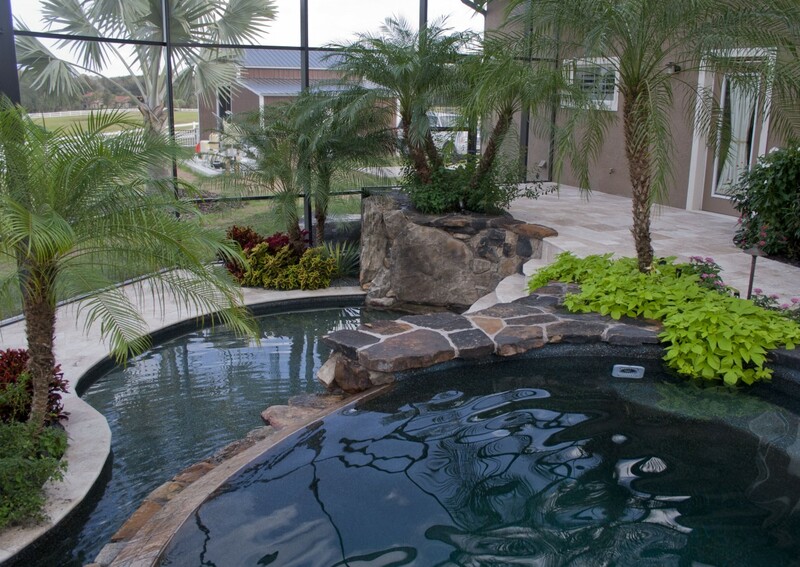 On the other end of the swimming pool you step down into a shallow area for basking in the sun, or lounging in the water. 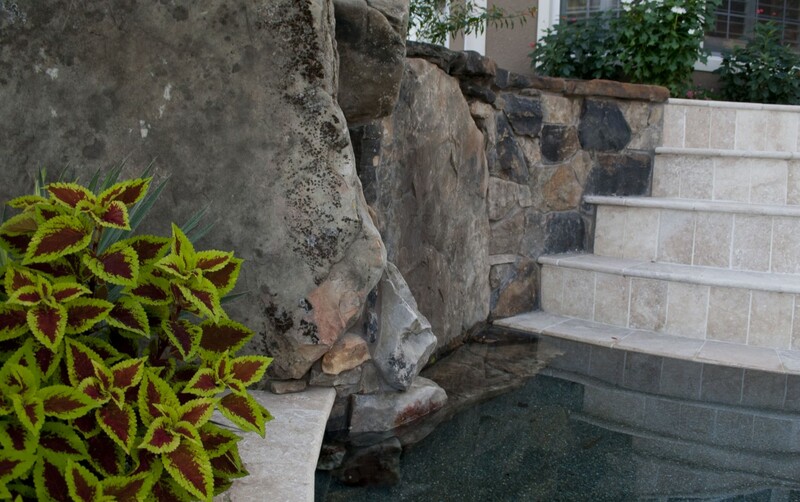 This shallow area creates the basin for the negative edge waterfall that is flowing down the natural stone wall into the swimming pool. 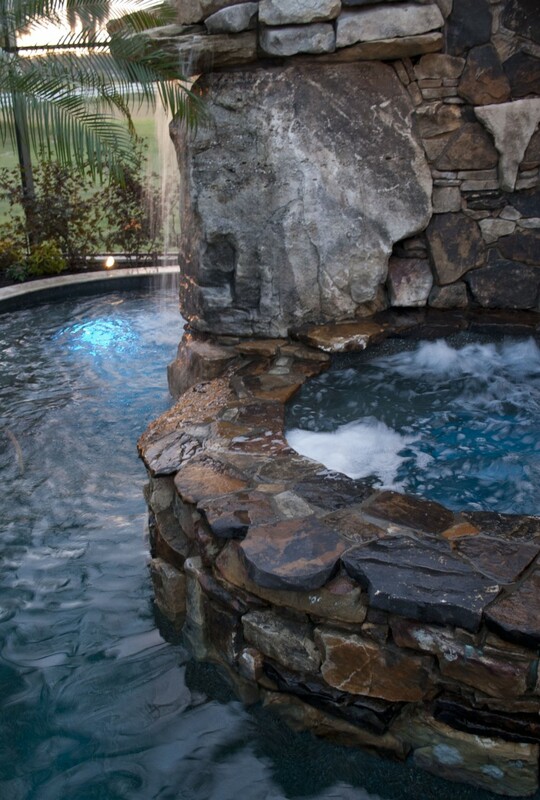 From here, you can swim under the bridge surrounded by natural stone walls to a large stone boulder inside the pool as another seating area with its own stone waterfall. 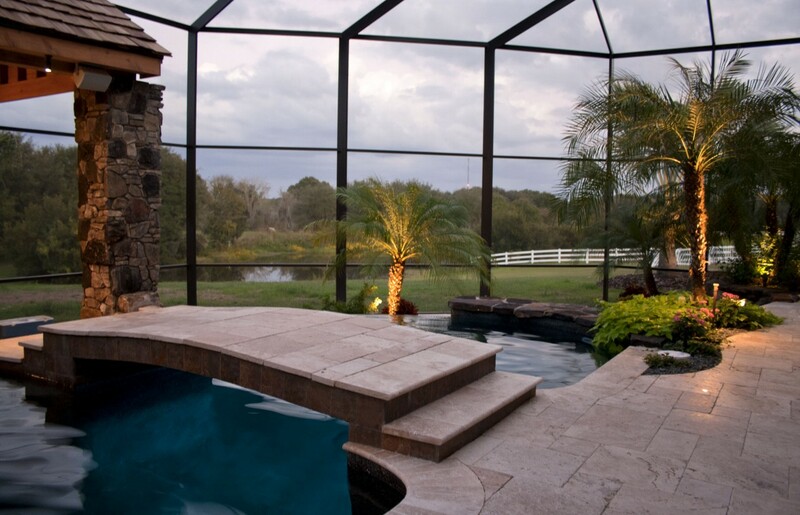 This can also be a step up and out of the swimming pool into the outdoor kitchen and lounge area. 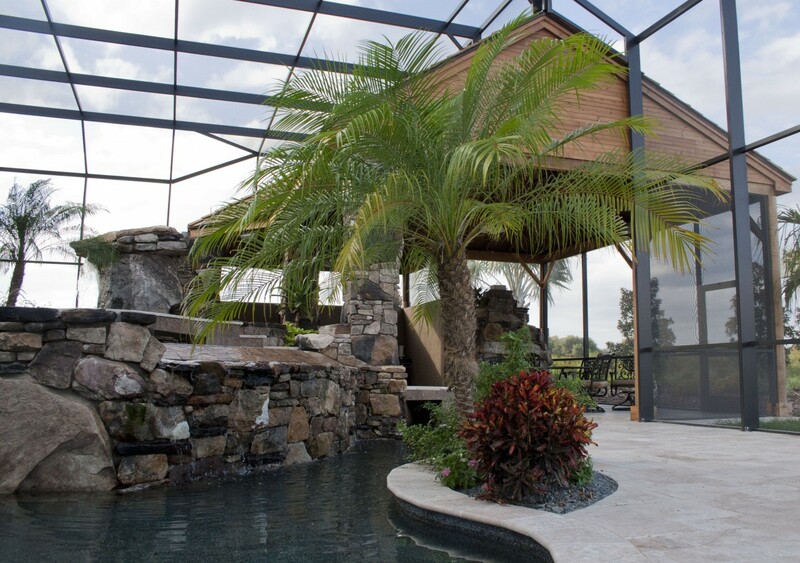 This area includes a stone fireplace, kitchen and bar, lounge area, and is covered by a pergola. 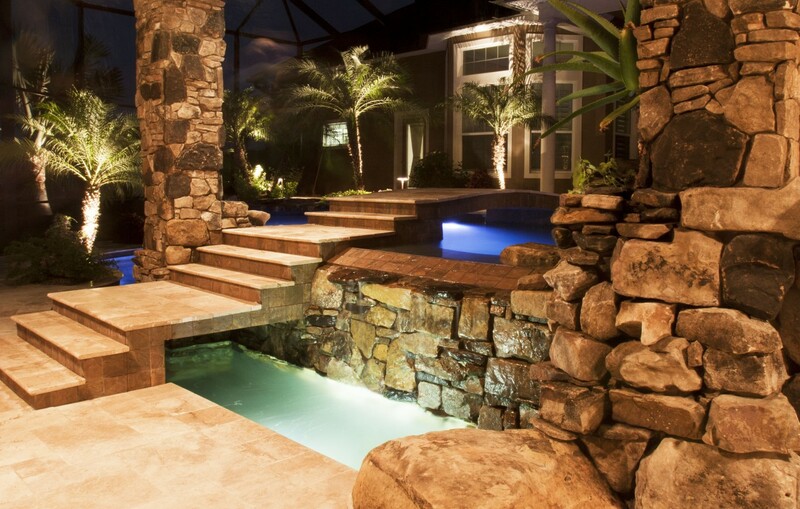 Moving around the swimming pool area is easy with a travertine bridge going over the swimming pool connecting the outdoor kitchen and bar with the house. 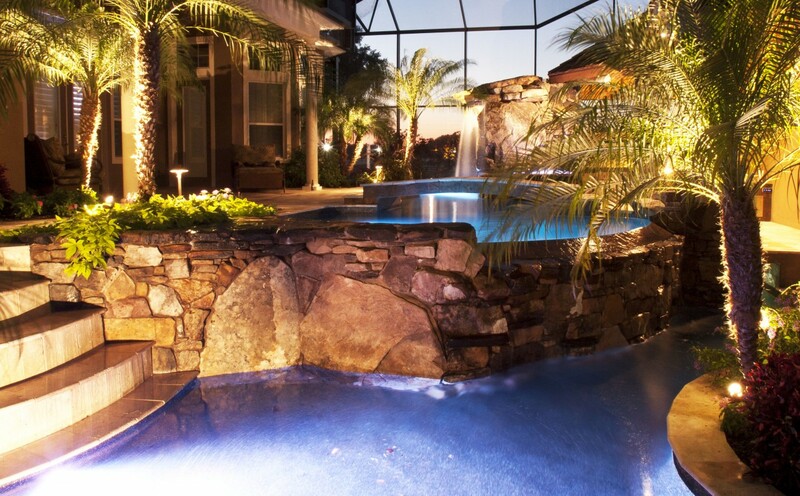 Everything is complimented with tropical landscaping and outdoor lighting, including underwater lighting in the swimming pool, making it the ultimate vacation in your own backyard.